A little country boy from a Mississippi family, Brandon had a dream to make his own box fort. Wendy Baily of Rankin County recently made a post on social media about her son, Brandon. From two-weeks, the boy had been eagerly waiting for their family’s new refrigerator. As he knows it would come in a big box and will be delivered to their house. So, he could use the huge box to build a fort building or a spaceship, a secret gateway or a traverse galaxy of his imagination or anything else. But the kid was disappointed when the refrigerator arrived at their house without any box. The kind delivery man from Lowe felt so bad seeing the sad face of the boy, that he decides to get him that box. He drove all the way back to his store, to bring back the refrigerator box for Brandon, he’s been dreaming about. He said, “Every little boy needs an awesome box fort”. 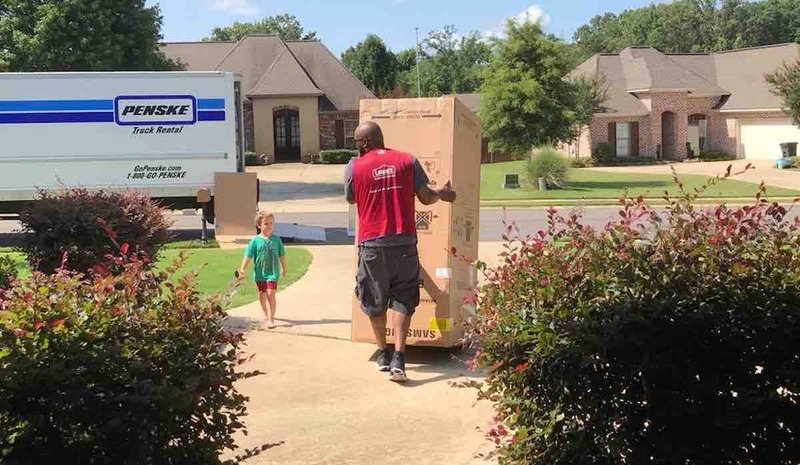 Bailey on her social media posted the pic of her son with the Lowe’s driver thanking him for all he had done for his son, making her son’s dream come true. She said, “Now that’s what is going above and beyond. There is one thrilled 6-year-old in my house this morning, who also learned an important lesson today and that is about kindness. How a small act of kindness can make someone else so happy”.